Shivakali Yoga offers a 200-Hour Yoga Teacher Training, which is steeped in the ancient spiritual, philosophical and meditative traditions of Yoga, and grounded in modern anatomical studies, sequencing, and approaches to practice. This 18-day Yoga Retreat offers students the lived experience of the teachings. In addition to practice and study, we will participate in meditation, ceremony, council, and explore what these practices & teachings mean for ourselves as individuals, and for our community as a whole. 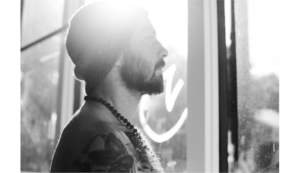 Whether you are interested in teaching your loved ones, earning an income as a Yoga instructor, or solely feeling called to deepen your personal practice, we welcome you to join us on this journey. Our Yoga Teacher Training in the Sonoma Redwoods progresses over 18 days by a map of the chakras, starting at the root and culminating with the crown. 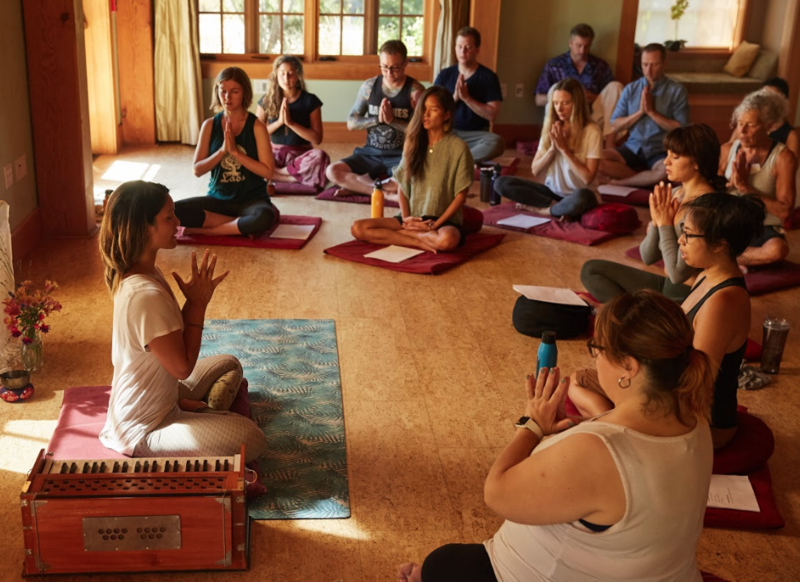 During the root segment, students will ground their intentions for teaching/practice, and learn the vast history of Yoga from the Vedas through the Upanishads, Buddhism, Yoga Sutras, Bhakti traditions, Tantric Lineages and contemporary Yoga Schools. In the sacral chakra, we will uncover the countless layers of the subtle body, learn the principles of Ayurveda, and gain an overview of classical Tantra. As we progress through the navel chakra, we will explore Yoga’s connection with power, fire, and explore our work ethic & the business of Yoga. In the heart, we encounter the devotional path of Bhakti Yoga, as well as ceremony, prayer and healing. We will connect in nature, and receive teachings on the heart of our practice. We share in men’s and women’s circles as a step in our process of uniting energies, wherein we also honor identifying with a group other than your assigned-at-birth gender and exploring the group you feel called to. Moving upwards into the throat chakra, students will learn about the Sanskrit language, pronunciation, principles of chanting, and a wealth of mantra & deity practices. Progressing to the third eye, the training becomes increasingly more subtle, as we encounter an array of Yogic meditations, explore Yogic Buddhism, and turn inward in silence. Culminating in the crown, trainees will receive kundalini awakening practices, learn Shakti mantra, Yogic ritual, and receive an initiation into the practice. Each of our 18 days will include a thorough overview in the anatomy/physiology of Yoga-Asana (postures), a comprehensive outlook on teaching methodology, an intensive dissection of major and minor poses, workshops on adjustments/alignment, and plenty of time for practice teaching. There is also time for you to be alone in nature, to reflect, hike, stargaze, and relax in quietude. Come join us in the redwoods. With Special Guest Teachers SERGE BERLIAWSKY, PRANATHI REDDY, AND MORE! This 120-acre property has been blessed and empowered with a pure intention to serve all. Inspired by the Tibetan Buddhist tradition, the retreat center is named Ratna Ling, which literally means “Jewel Place”, a sanctuary for healing, wisdom, and expansion. The elegant cottages and structures have been designed to be in harmony with the trees and nature surrounding them. Enjoy the beauty and sacred design of the timber-frame Lodge, Yoga Studio, and Meditation Temple. All this, with tons of space to wander and roam with the resident deer, turkeys, hares, butterflies, and dragonflies. Breakfast, Lunch and Dinner will consist of wholesome organic vegetarian meals with vegan options, unique desserts, and healthy snacks/teas. Accommodations are spacious cottages with a deck and expansive views. There are options for a private room or shared cabin. Massage and Healing sessions will be offered daily during free time, for an additional cost by veteran practitioners. The yoga retreat is located near Timber Cove, California. You’ll find us in a redwood forest near the ocean, with the purest air and quiet you can imagine, in a majestic meditation paradise. For those looking to teach, this Yoga Teacher Training in the Sonoma Redwoods will provide a vast, comprehensive tool-kit for teaching physical postures, breathing techniques, alignment, adjustments, as well as mantra, meditation, and more. The principles we instruct can be applied to any style of yoga you feel compelled to offer. For students looking to deepen their understanding, this will be a dynamic expansion of both knowledge and practice. A sincere exploration of what it means to truly practice YOGA. We teach presence-based vinyasa, inspired by ancient traditions of meditation, mantra, ritual, and postures, and supported by modern studies of anatomy, physiology, psychology, and metaphysics. Our practice serves first to awaken the body and move blocked energy, and then to soften the mind and nurture our inner being. Uniting the masculine + feminine aspects of practice, we find freedom in movement, draw awareness from the mind/root to the heart, and allow insight to arise naturally and freely. APPLICATIONS WELCOME FOR PARTIAL WORK-TRADE OPPORTUNITIES. Please email inquiries to reservations@ratnaling.org. For more information about Shivakali Yoga, visit www.shivakaliyoga.com. To learn more about Gloria Baraquio, visit gloriabaraquio.com.